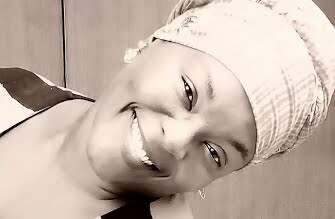 Jacqueline Adebija is a northern Nigeria based, award winning, multimedia broadcast journalist with over 10 years experience in not just the design, development and implementation of original story ideas for radio and television content but also in the research and effective gathering of accurate information on newsworthy stories. I have proven skills in translating and or transcribing Hausa, English, Pidgin and or Yoruba material and I also have to my credit, the design and development of several English, Pidgin and Hausa, audience engaging programmes on radio and television that have garnered, a strong presence and followership on several social media platforms. I am a media influencer who has been recognised by both local and international organisations. I'm proud to in this time have developed an appreciable network of professional resources in both the private and public sectors of entertainment and politics in Nigeria. As a BBC Media Action trained scriptwriter, I have scripted and headed scripting teams for several, popular radio dramas in Hausa and English. I am able to handle and meet deadlines, the keeping of irregular workdays/hours while maintaining strict adherence to the ethics of the profession. A regular speaker, facilitator, translator or consultant at English or Hausa community outreach workshops, townhall meetings or trainings, I continue to use these avenues for the creation and or sharing of original story ideas that are based on the latest events or issues that concern and affect my community. My news editing, presentation and time management skills along with the ability to handle irregular schedules, and meet strict deadlines have regularly delivered more than average results. This is a jingle I was contracted to produce for the 1st Baptist Church's centenary celebrations in 2018. It was voiced and sound designed by me. A 4 minutes extract of a 1 hour political radio programme geared towards the 2019 elections.